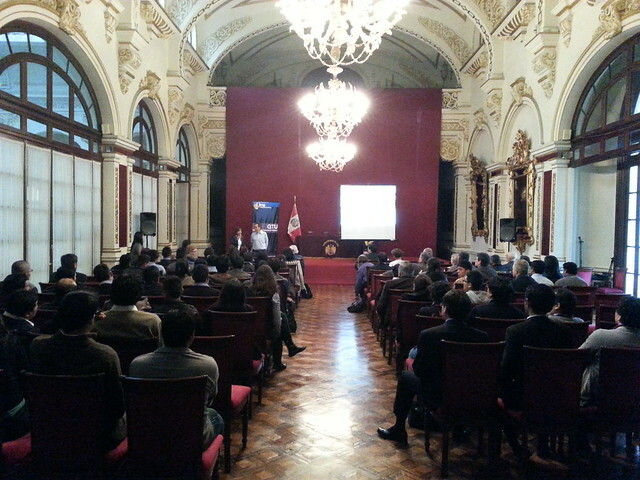 I was in Lima last month to attend the EIMUS 2013 Mobility Conference but the main focus and highlight was the launching of an exciting book. Cyclists & Cycling Around the World - Creating Liveable & Bikeable Cities. It's a good book. An important book. 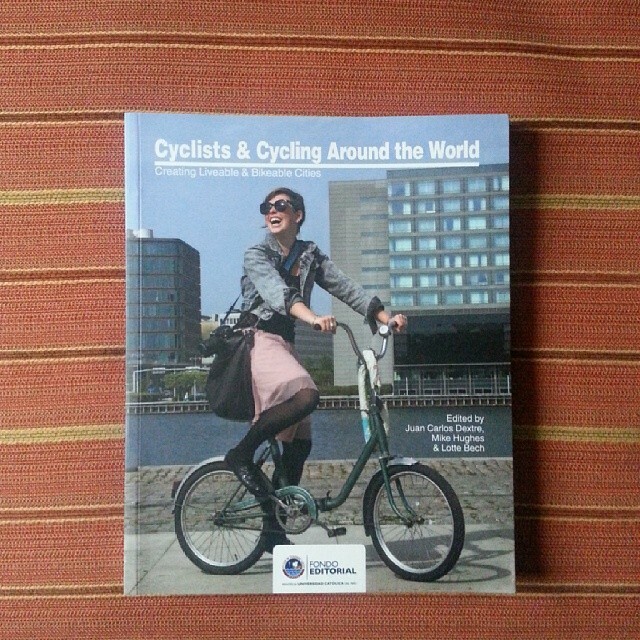 There are 25 authors, each writing a chapter on a massive variety of subjects all relating to urban cycling. A veritable who's who in the industry. 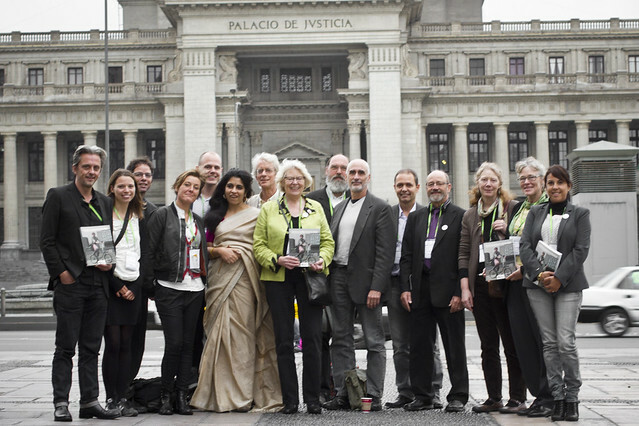 Here's my copy of the book, hot of the press in Lima. At the conference it was brilliant to meet up with old friends. 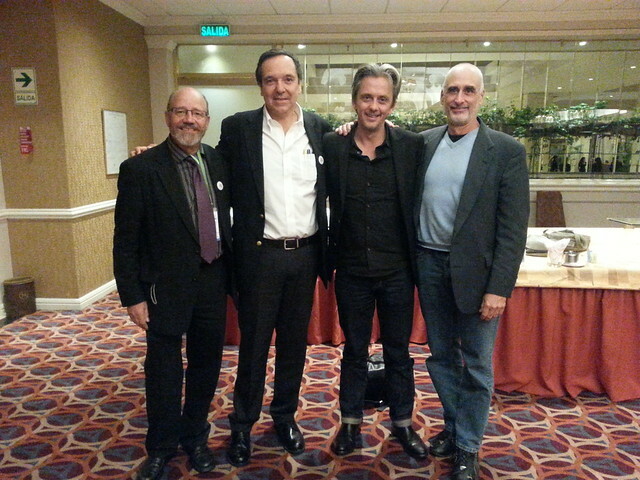 Here, from left, are Lars Gemzøe from Gehl Architects, Gil Penalosa from 8-80 Cities, me and Roger Geller from the City of Portland. The Grand Old Man of bicycle planning in Copenhagen, Niels Jensen, chatting with Roger Geller from the City of Portland. 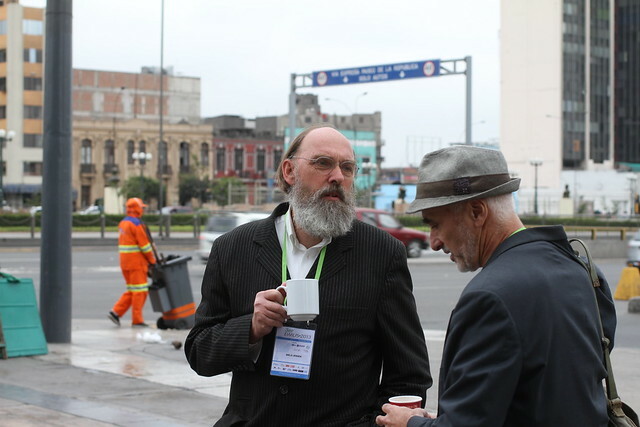 In connection with the conference, we arranged a showing of The Human Scale, the film that Gehl Architects produced about themselves and their work, at the City Hall in Lima, with the entire traffic department in attendance. For more information about the book, check out the website Cyclists World. The Facebook group is also up and running.